Singh Brothers, Amritsar. Pages 320. Rs 695. HISTORY, religion, commerce, education, all come together as we think of Amritsar, a city founded by the fourth Guru, which has a particularly strong association with Sikh history and heritage. It is where Darbar Sahib, or the Golden Temple, Akal Takht and the Shiromani Gurdwara Parbandhak Committee headquarters are located. Amritsar is a city where the Jallianwala Bagh massacre took place. Premier educational institutions like Khalsa College and Hindu College and Medical College were established there, as was, later, Guru Nanak Dev University. It is also an epicurean destination, with food specialities that have to be found through local expertise. Marwaris, Biharis, Peshawaris, Himachalis, Oriya and Jains — all have made Amritsar their home and have contributed to the cultural fabric of the city known for its textiles and carpets. It produced such stars as Bhagat Puran Singh, Pandit Shardha Ram Philauri, Nanak Singh, Bhai Vir Singh, Gurbax Singh Pritlari, and Lala Dhani Ram Chatrik. It has a tradition of publishing books and thus was home to many an old publishing firm, including the publishers of this volume. It takes an inquisitive and persistent mind to explore the the many-layered reality of Amritsar. 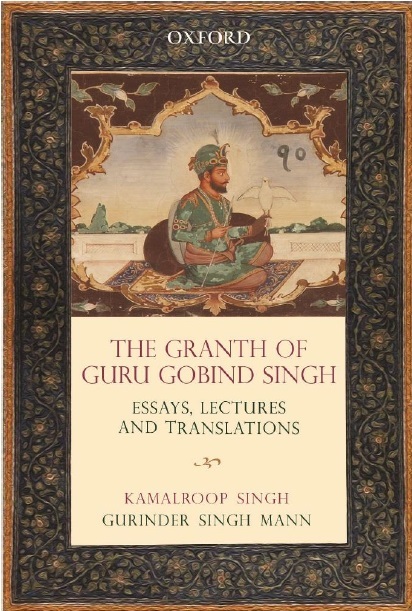 A prolific journalist, the author wrote extensively on the city, its institutions and its people when he was posted in Amritsar. Trade and commerce, so central to the ethos of the city, also figure prominently, be it whose who weave carpets, make kirpans, or export basmati rice. He is hawk-eyed in highlighting any desecration of heritage, and likes to highlight commonalities, rather than confrontations. As it is with any such collection, journalistic writing is always in a context, the absence of which may be felt when it is read after a gap of time. However, since most of the chapters were originally written as feature stories, they stand the test of time quite well. These articles, were mainly published in the Amritsar Plus supplement of The Tribune, which was started around that time. This allowed Walia to explore the city beyond the demands and confines of traditional reporting that seldom allows the journalist to venture afar from the immediate. This compendium of his writings, handsomely produced, will certainly add much to those who wish to know more about the city that has played and continues to play a pivotal role in the state. 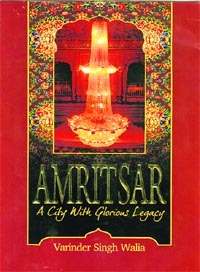 Many facets of the legacy of the city of Amritsar come across to the reader as various chapters acquaint him with new aspects, even if he is familiar with the city that is bustling with life, as it has been for most of its history.